← How close are we to understanding image-based saliency? 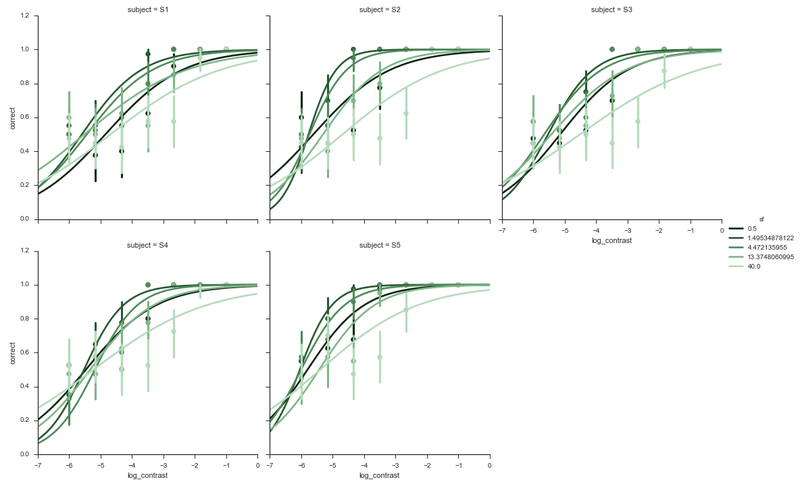 I see that ggplot’s smean.cl.boot “is a very fast implementation of the basic nonparametric bootstrap for obtaining confidence limits for the population mean without assuming normality”. Is there a similar bootstrap for Seaborn? Hi Egor, I’m not sure how optimised the implementation in Seaborn is (I’m not sure whether you posted this before or after my update). If we don’t bootstrap the logistic regression too (ci=False), then Seaborn is much faster (7 seconds) but still slower than R (3 seconds). This would imply to me that further optimisation could be achieved for Seaborn’s backend, but I am not sure. Oh, so if (ci=False), the confidence intervals still appear. I see, thanks. Perfect timing for me as I’ve been looking at getting psychopy to create a dataframe and plotting the results. I was going to try yhat but seaborn may be a bit more developed. However I’ll probably stick to matplotlib for now because only that is included in Psychopy stand-alone, the others will require independent python installations.